Today’s photos are a few scenes from Day 3. Tomorrow begins the big weekend. Are you ready? My neighbor’s flamingos are. Almost four years ago, this photo happened. This year’s festival (2017) is from April 6-10. Preview night is March 14. 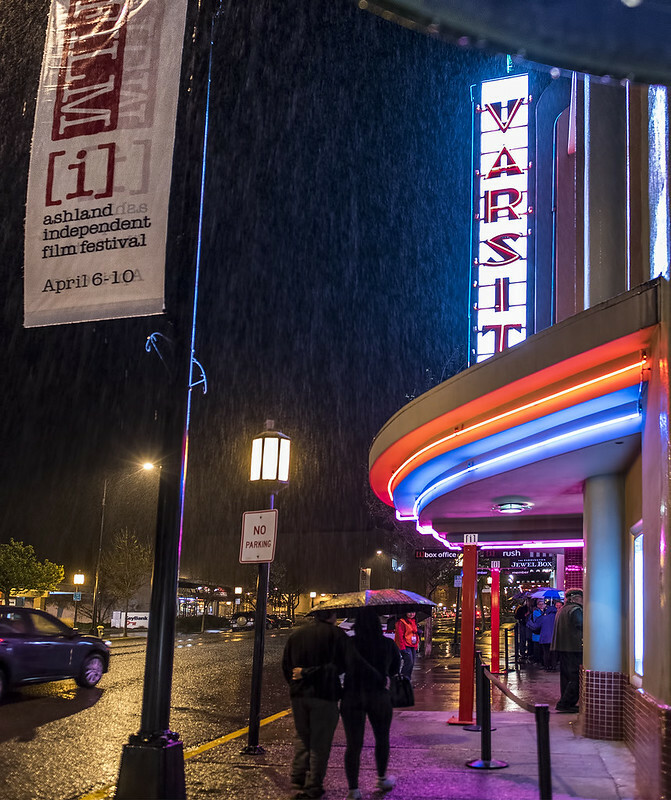 One of my favorite films from the 2016 Ashland Independent Film Festival is showing on PBS over the next few days. See the trailer and check your local listings here. Sept. 7, 2016 at 4:30 p.m.
Sept. 8, 2016 at 5:30 a.m.
Sept. 8, 2016 at 11:30 a.m.
Sept. 10, 2016 at 9 a.m.